Do you have a favorite pie filling? My favorites kind of change with the seasons. Warm apple pie is always delicious in the fall with a big scoop of vanilla ice cream. Around Thanksgiving, I always need a slice of pumpkin pie. In the spring I’m all about the lemon desserts so lemon meringue pie is a great choice. In the summer, fresh berry pies at the farmers market are calling my name. I think it’s safe to say that I like all pies. No surprise there, right? If I had to pick a favorite pie filling though, I think I’d have to pick cherry. 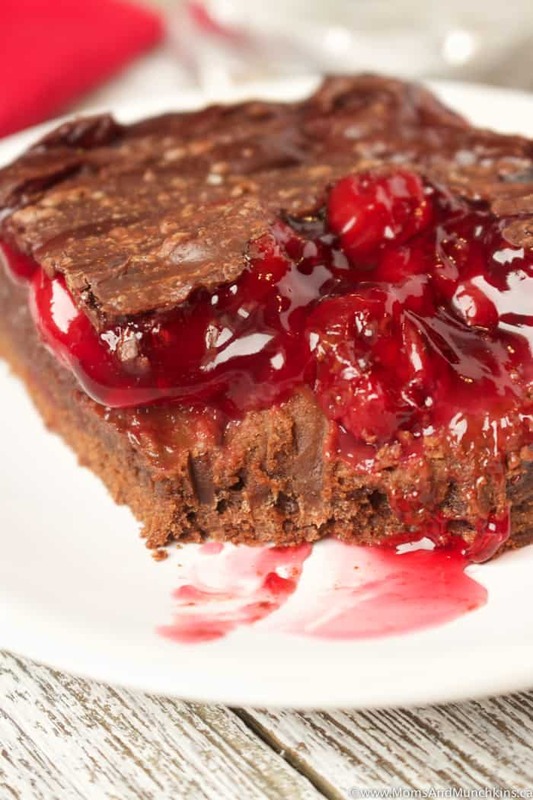 Plus when you pair cherries with chocolate…drooling! 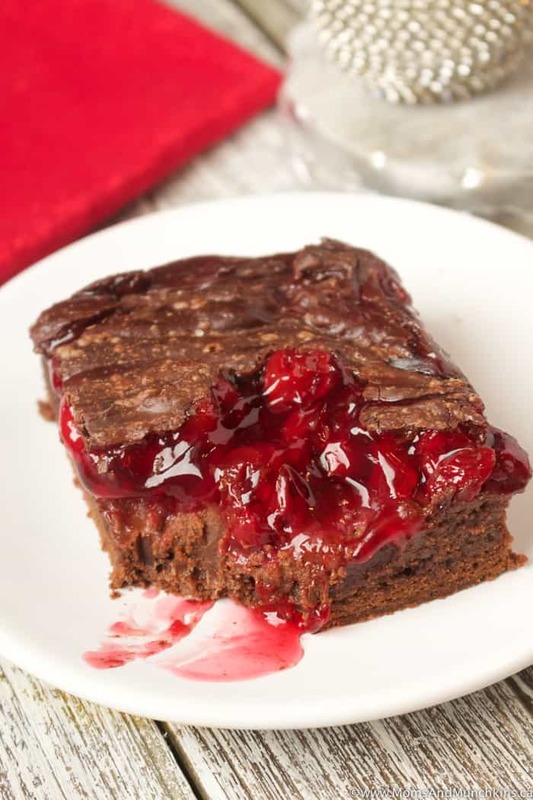 If you’re a fan of chocolate and cherries too, you’re going to love these fudge Chocolate Cherry Brownies. You could pick these up with your hands and eat them like a regular brownie but they’re a little messy with the cherry filling. I’d recommend serving these on dessert plates – maybe even serving them slightly warm with a big scoop of vanilla ice cream on top! If you’re going to indulge then who cares about the extra ice cream calories, right? 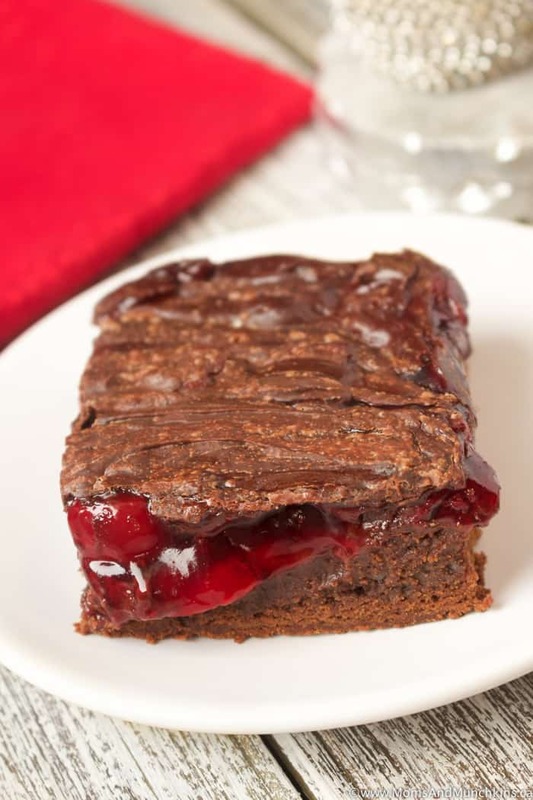 You could pick these up with your hands and eat them like a regular brownie but they're a little messy with the cherry filling. I'd recommend serving these on dessert plates...maybe even serving them slightly warm with a big scoop of vanilla ice cream on top! In a small bowl, melt 1 cup of chocolate chips with ¾ cup butter in microwave. Melt on 30 second intervals, stirring after each 30 seconds, just until chocolate is melted. You want this melted but not hot. In a separate medium bowl, stir flour, cocoa powder, and salt together until well combined. Stir melted chocolate mixture in with egg mixture. Stir until well blended. Stir in dry ingredients with wet ingredients. Stir just until mixed. 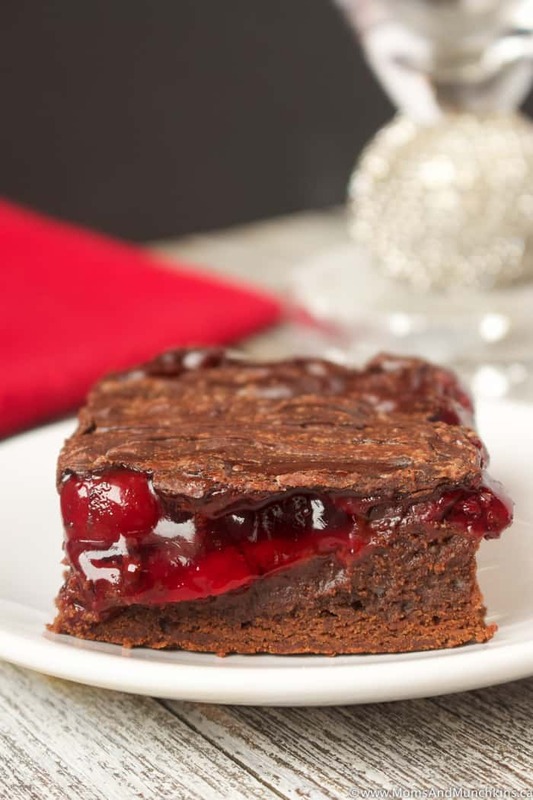 Spread cherry pie filling evenly over brownie batter. Sprinkle remaining 1 cup of chocolate chips over top of pie filling. Once out of the oven, use a spoon to spread the melted chocolate chips on top evenly over brownies. Let cool at least two hours before cutting into squares. 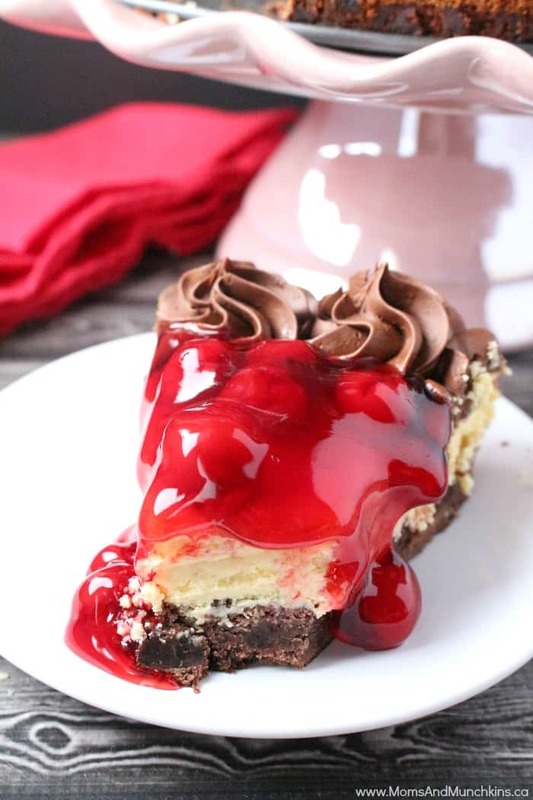 Chocolate Cherry Cheesecake – a brownie base topped with cheesecake and cherry pie filling. So yummy! 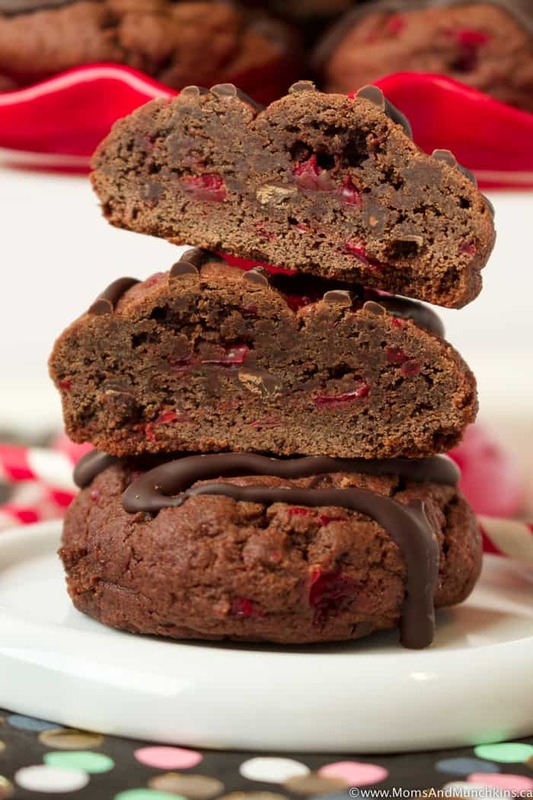 Chocolate Cherry Cookies – chewy chocolate cookies with cherries in every bite! Visit our Recipes page for even more tasty ideas! Stay updated on the latest by following us on Facebook, Twitter, Instagram and Pinterest.